Our emergency dentist may recommend dental implants if you recently lost a tooth. A dental implant is an artificial tooth root (typically made of titanium) we place in your jawbone to support a crown. Unlike dentures, a tooth implant is anchored in your jaw for permanent stability so you can eat, talk, and smile with confidence. During dental implant surgery, our dentist will make a careful incision through the gum to access the bone underneath. He’ll then drill a hole deep into the jawbone where the implant will be placed. After the procedure, we’ll give you a temporary partial denture to fill the gap in your smile while you heal. The dental implant process involves several months of healing after surgery. Once the implant fuses to your jawbone in a process called osseointegration, we’re able to place a porcelain crown over top. This dental implant crown gives you the strength and appearance of a natural tooth. Our dentist has years of experience helping patients just like you restore their smiles after tooth loss. Our Holland emergency dentist can help you explore your tooth replacement options, including dental implant surgery. 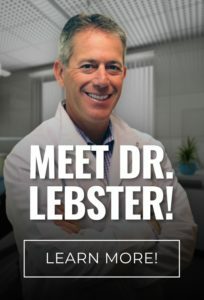 To request an appointment with Dr. Lebster DDS, call RediDental Emergency Dental Care at (616) 796-3200.